A selection of aeroplane images or images that were taken in and around, though not restricted to, small private airports. Many of these shots are taken before or after flying sessions of an hour or so, during which I generally take my aerial images. There is a glider club that flies from an airfield very near to Coaley Peak, near the Severn Vale, who use the updraft along the edge which the peak forms part of to go ridge-running at low altitude. This means the pilots can pass along the edge of the ridge at high speed and low altitude, including these pilots who buzzed us as we took photos of them. 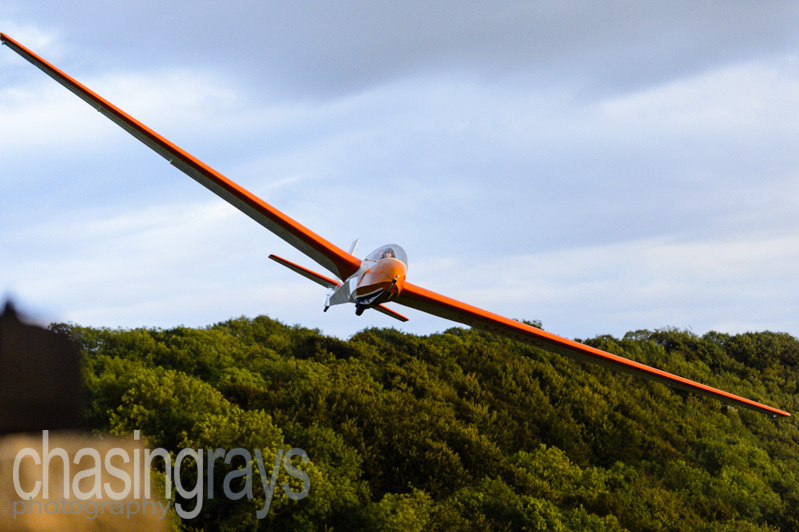 There is a glider club that flies from an airfield very near to Coaley Peak, near the Severn Vale, whose pilots use the thermals that create an updraft to ridge-run along the crest of the hillside on which the Peak is situated. 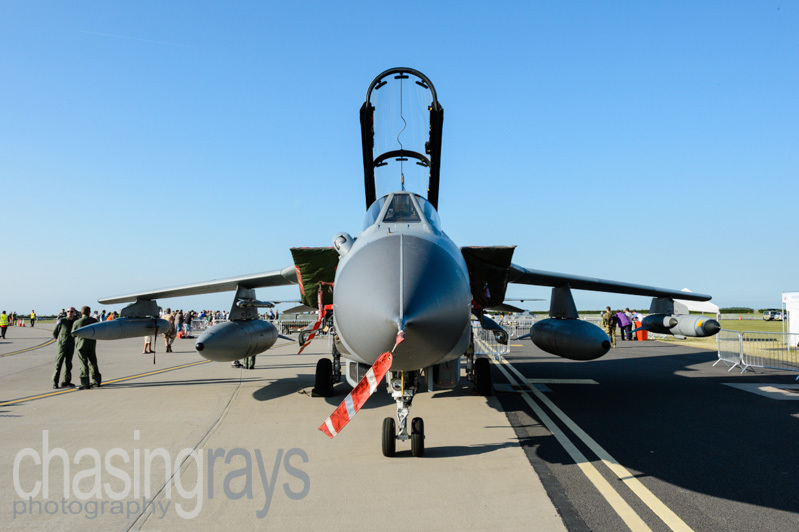 This is an image taken at RAF Waddington during the 2013 Waddington air show and shows a GR4 Panavia Tornado of 617 Squadron, the same squadron who flew the Avro Lancaster dambuster raids on Germany during the Second World War. Here, we see the sleek and menacing outlines of the Tornado from the front - an impressive aeroplane. 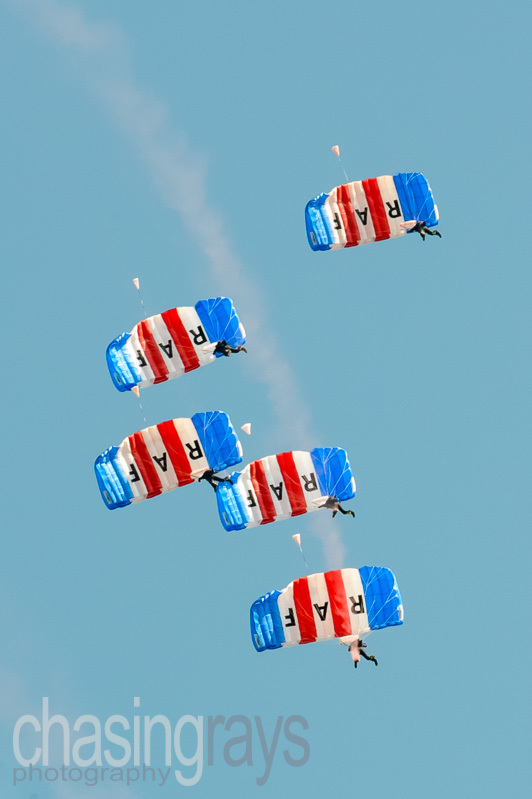 This is an image taken at RAF Waddington during the 2013 Waddington air show and shows the RAF Falcons parachute display team as they descend to a pinpoint landing on the Waddington runway, directly in front of the control tower. This is an image taken at RAF Waddington during the 2013 Waddington air show. 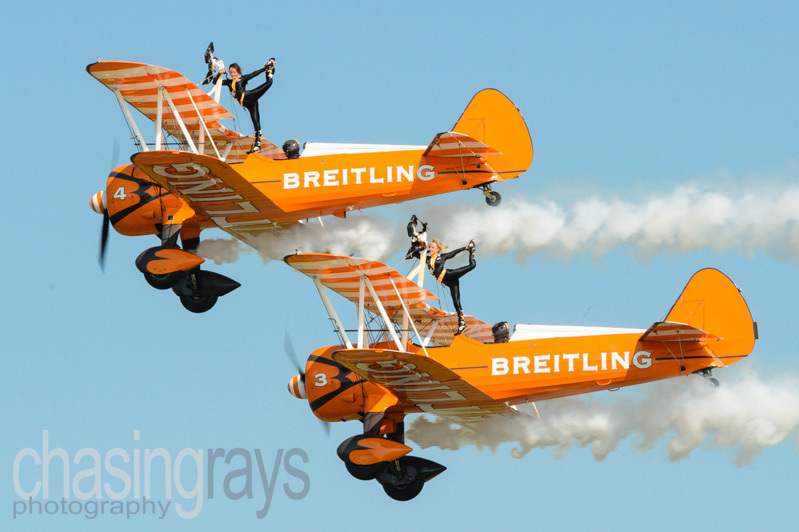 It shows the Breitling wingwalkers display team. 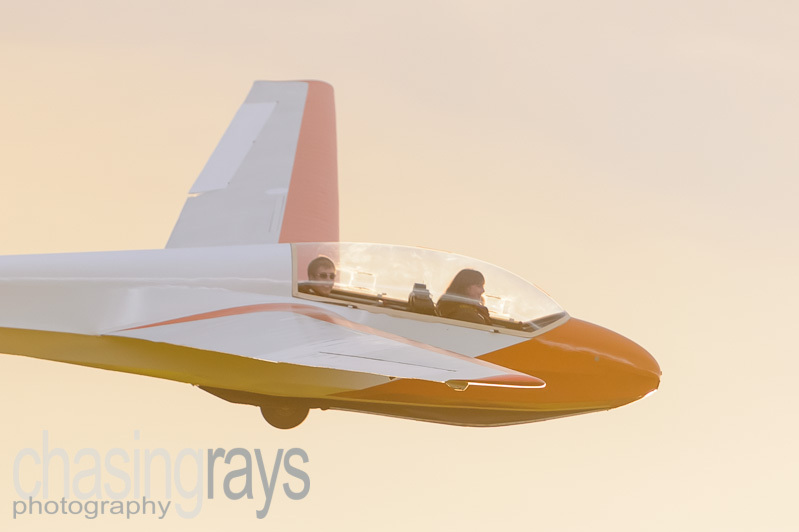 These two ladies go through a remarkable series of poses on the wings of the display aircraft, holding their pose in several g and into a 150 mph headwind. This is an image taken at RAF Waddington during the 2013 Waddington air show. 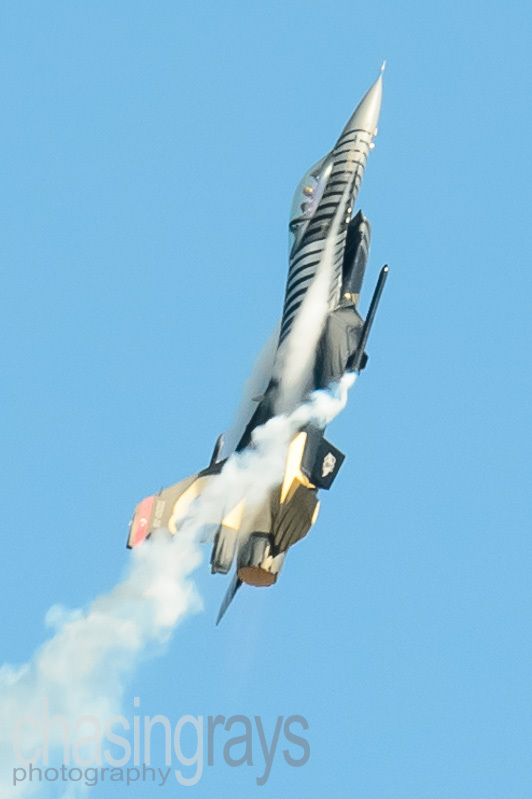 This image shows an F16 Fighting Falcon of the Turkish air force in a steep climb, trailing both smoke and vapour in a dramatic display of this versatile aeroplane's abilities.